It gives me the heebie-jeebies when awesome college grads who are totally qualified for a position have a horrible résumé. Now, please remember that I’m not in a STEM field, and those résumés will look different from what we’re going to talk about. If you need some pointers on STEM résumés, check this site out. Your entire résumé should fit onto one page. Résumé screeners don’t spend a whole lot of time on each résumé that comes across their desk. Give them the information they need and do it quickly. Your name should be in a large font. At the top of the page. If you use something like Comic Sans, you’ll never get hired; keep it to Times New Roman, Cambria, Georgia, something along those lines. A phone number and email address (an appropriate email address!!) should be easily spotted. I’d put it right under my name, but that’s just me. I think the “objective statement” is sort of a waste of space. This website agrees. They say that potential employers know what type of position you’re looking for, because you just applied for a position with them. Space on a one page resume becomes precious and necessary. Get rid of the objective statement. Education should be your first major section, reverse chronological order. Things to mention: school, location, graduation date (expected/actual), major, GPA (if it was above a 3.0), any honor list/dean’s list, scholarships, and any academic awards or honors. If you are now in college or a recent graduate, high school does not need to be on there! Delete it, it’s kind of cathartic actually, you’ve moved on to bigger and better things, it’s time your résumé reflects that. Relevant work experience in reverse chronological order (aka the most recent first). If you’re sending your résumé to a law firm for a legal secretary position, you don’t need to talk about how you worked retail at Michael’s or waited tables at Red Lobster. Employers want to see that you’re qualified for the position, make it easier for them to see all of that! The design needs to be simple and straight-forward. Unless you’re going into a more creative industry, then it can be a bit more interesting. Your résumé should be in bullet form. You’ll get a chance to elaborate and explain during the interview. But, you have to get to the interview first. Can you speak or read another language? Let’s definitely find a space for that, towards the bottom of the page. You can list it as Skills or Language skills. Did you do something really awesome in college and want to talk about it? DO IT. I’ll talk about that more below. Take off “references available upon request,” if they need references, they’ll ask for them. I’ve seen a résumé that included a person’s career shadow experience. Career shadows are usually for only a day, maybe a week. Don’t include that. Don’t name drop. Sure, you’ll see on my résumé that I work for Mayor Kasim Reed and have worked for Mayor Kevin Johnson. This isn’t the same name dropping I’m talking about. I mean don’t name drop in the body of your actual résumé. It sounds strange, but I’ve seen it, so I know it happens. I have a section on my résumé for “Leadership Experience” which is sort of my catch-all for “other” experiences. In this section I talk about my experience with clubs/organizations that I participated in while in college. Just for funsies, I’ve made up a fake résumé. The education and experience information is all true, I just had to change the personal details before it went up online. Check it out (it will download): Resume. The number listed might be from an awesome song about a girl named Jenny. I’m more than willing to help edit and format résumés! 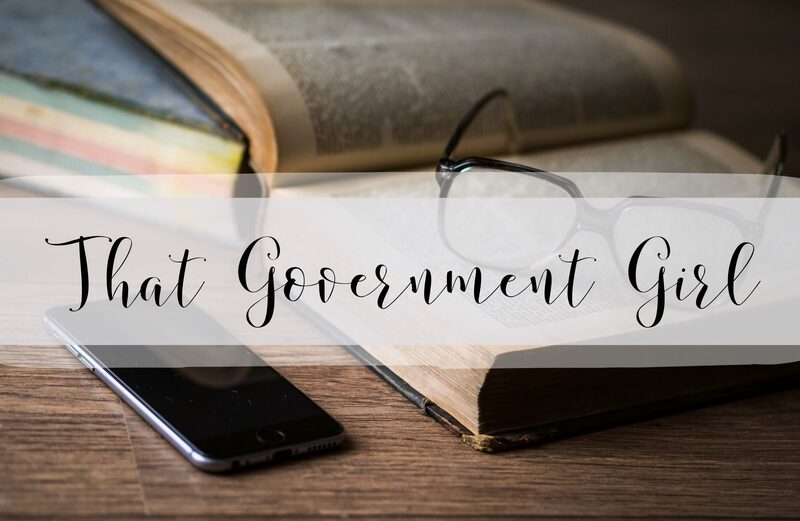 Send me an email at thatgovernmentgirl@gmail.com and we’ll talk about it! If you have any résumé advice or tips, let’s talk about them in the comments! I struggled with the “objective statement” for years before getting rid of it. I’m glad someone else finds it unnecessary. I kept mine on there for years! It was just recently that I realized it wasn’t doing me any favors and it stopped making sense to keep around. Thanks for reading!